Static Free™ Plast-N-Glas® effectively cleans, polishes and eliminates static charges. 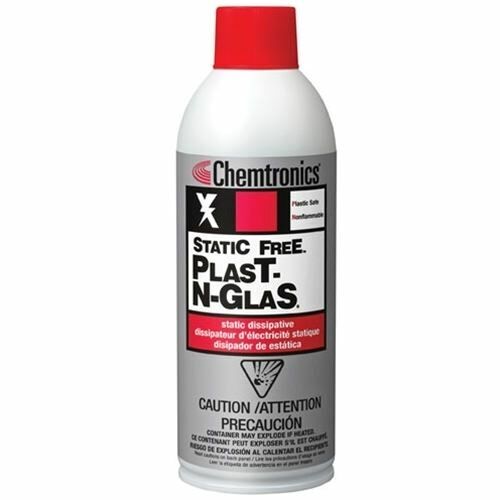 A single application dissipates electrostatic buildup while also removing dirt, grease, ink, fingerprints and nicotine stains. 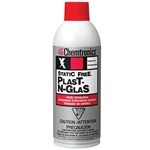 Static Free™ Plast-N-Glas® will not streak, smear, scratch, or abrade. Leaves surfaces thoroughly clean for improved optical clarity and distortion-free reading.